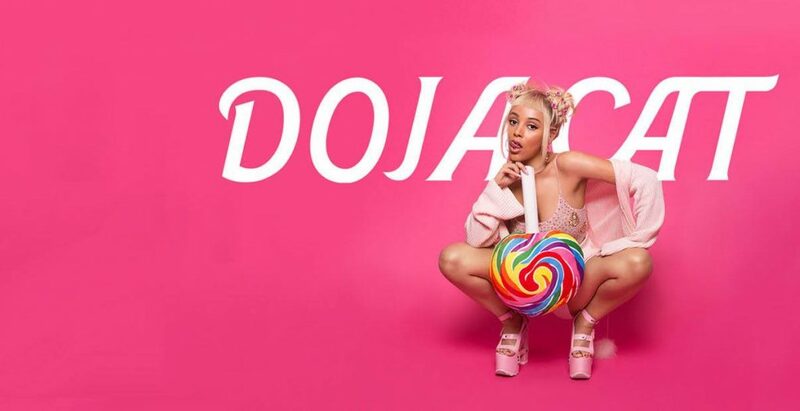 Doja Cat known to few as Amala Dlamini is an American singer, songwriter, rapper and producer. Being born into an artistic family (her father is a film producer and her mother a painter!) she was trained in piano and dance she was a child. Her rapping skills are inspired by the likes of Pharrell, Jamiroquai and Drake , you can also find a lot of influences from Hinduism and Indian culture in her music. The first step in her career was the release of her debut single in 2013 which was followed by her signing to RCA Records and the release of her debut EP ‘Purrr!’. It has been described as “spacey eastern influenced R&B”. Her single “So High” led to her being described by Vibe as an “18-year-old psychedelic prodigy”. Her first full length album was released this March titled ‘Amala’ . The single ‘Go to Town’ produced by Powell has over 15M views with the music video being directed by Jabari Jacobs.